For the third year in a row, Lorac has released a Holiday themed, limited edition Mega Pro Eye Shadow Palette and I, in my infinite wisdom and desire to have all of the things have purchased their latest offering. Was it a well advised purchase or should I have broken the chain? 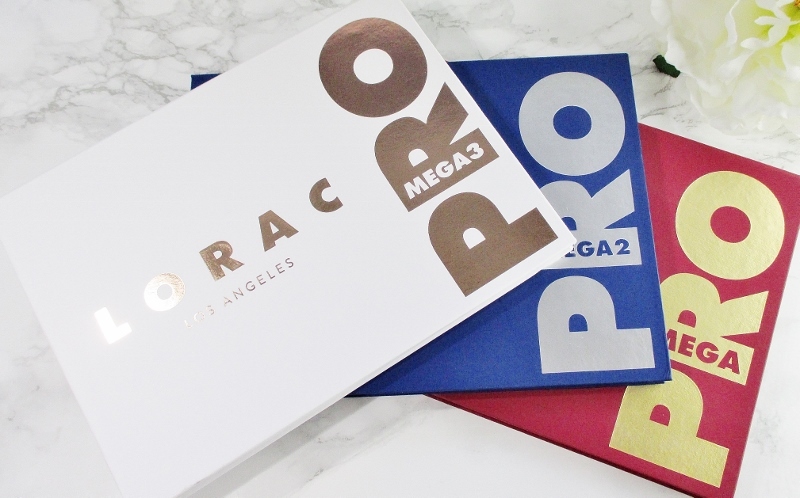 Continuing in a theme of colour and metallics, this year's Mega Pro is the typical Lorac slender, sturdy paperboard palette wrapped in their signature, tactile finish in white with rose gold printing. Last year, we were treated to deep blue with silver and year one was a rich, burgundy red with gold font. Lift the magnetically sealed lid and you are greeted by a mirror that is big enough to serve your every primping need. 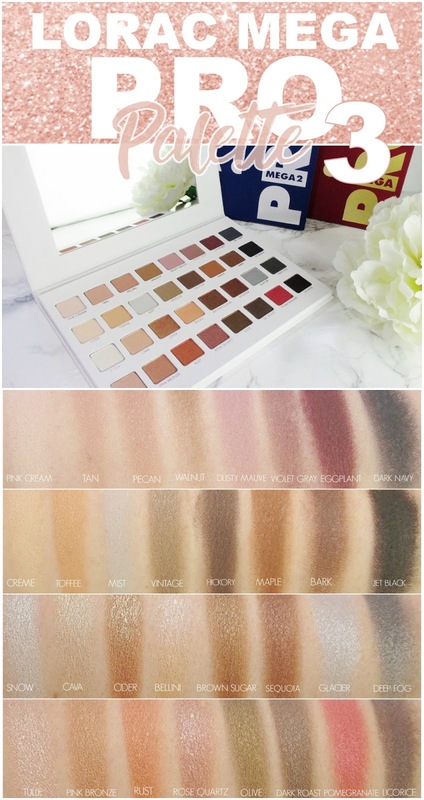 The thirty-two eye shadows are laid out like typical Lorac Pro palettes; the top two rows are sixteen matte shadows, the bottom two, sixteen shimmer and metallics. There are two repeater shades in this palette, the rest are new and, if I remember correctly, exclusive to this offering. All of the shade names are conveniently printed below their shadows in rose gold block font. 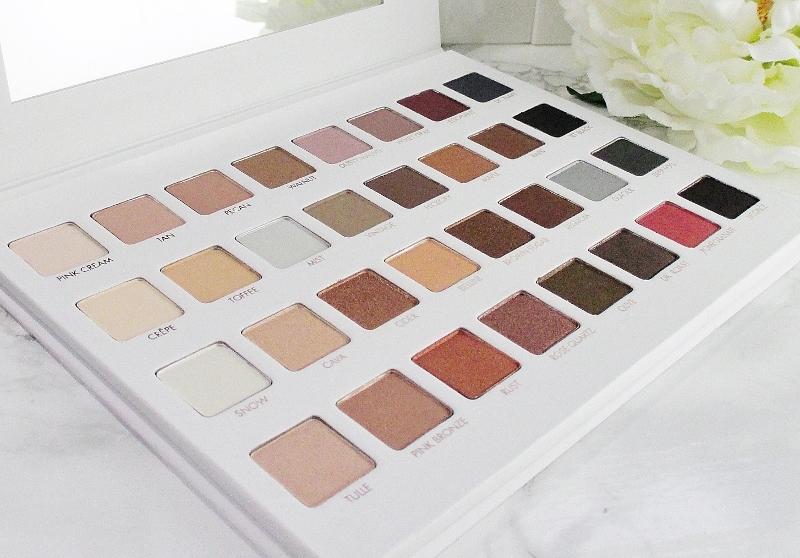 All thirty-two neutral eye shadows in this palette are laid out, light to dark, running left to right. There are highlights, lid colours, crease and transition shades a-plenty. One can use the deeper colours as liners, as well. The colours in the Lorac Mega Pro 3 are rich and Autumn themed with names like Cider, Walnut, Pecan, Hickory, Maple, Brown Sugar, Dark Roast. Great. Now I've made myself hungry. 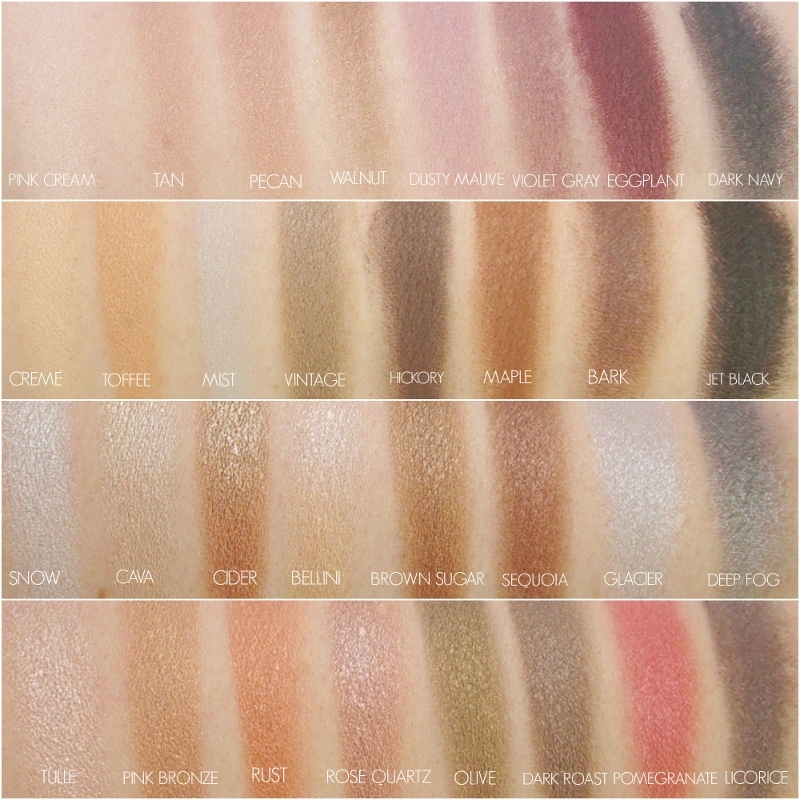 There are a few cooler shades sprinkled around but this palette tones warm, overall and these are colours that are right in my personal eye shadow wheelhouse. The shadow quality is classic Lorac Pro. The mattes are smooth, silky and feel creamy to the touch and they can be powdery when my brush goes in. 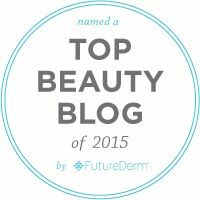 Lorac mattes perform best for me over a good primer. 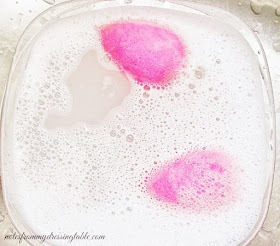 They apply a bit sheer but build up well and blend without flying away or going off muddy. I have learned that a light touch and soft brushes are the best tools for these mattes. The shimmers and metallics are so beautiful, they are velvety and soft to the touch. These shadows apply easily and blend out like a dream. While a few shadows are a little bit stiff (Jet Black, Licorice, Dk Navy, Walnut) and need some coaxing to go on and blend evenly and the deeper shades can gift the user with a bit of fallout if not applied carefully, overall I am pleased with this palette and I'm happy that I bought it. I know that this palette is sold out online and in most stores and I had to think carefully about whether or not I was even going to write this up. Then I remembered that I put a ton of work into photographing this baby and, that when certain hot ticket items are sold out online and in most stores, I can often still find them in my local Ulta. If your local stores don't have this beauty but you really, really want it, check for Ulta locations in large towns/small cities (like the one in which I live) a comfortable drive from you. Gas up the car and take a little road trip, do a little hunting and you may get lucky. 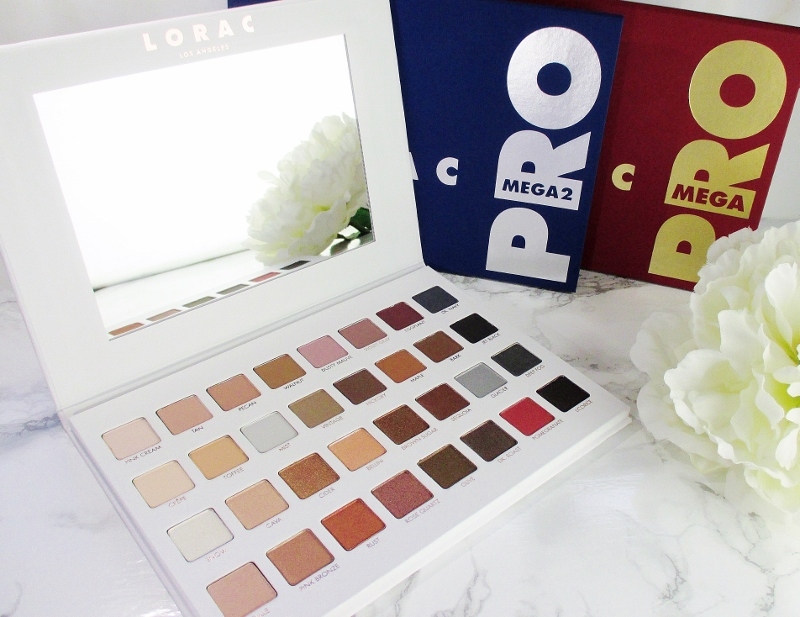 Gentle reader, what do you think of the Lorac Mega Pro 3 Eye Shadow Palette? Did you pick it up? Do you love it? Or not so much? Please do tell.